Are All Natural Progesterone Cream Products Created Equal? Fifteen or so years ago, I started learning about natural progesterone cream from conferences where Dr.Lam was the speaker. Personally, I feel Dr. Lam, along with his co-author of the books, What Your Doctor May Not Tell You About Menopause, and Hormone Balance Made Simple, Virginia Hopkins are the sources that helped me gain the most knowledge and could, therefore, take that information to people I knew. I learned to ask the right questions. Since he passed away in 2003, things have changed, his legacy that was supposed to be carried on has changed and I don’t frequent his website anymore. However, the books he wrote years ago were, and still are, priceless to any woman in her 30s and beyond. Is all natural progesterone cream created equal? Wouldn’t it be more economical to purchase 4 ounces rather than 2 ounces if it’s the same price? Not according to Dr. Lam. He was very specific in the formulation of natural progesterone cream as well as dosage. And it’s worked for me and many people I know. According to the good doctor, every ounce of natural Progesterone cream should have between 450 and 500mg of progesterone in it. That being said, the common amounts of progesterone cream are 2oz and 4oz. 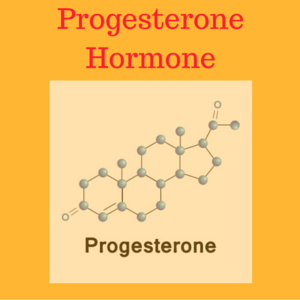 A 2oz bottle should have between 900 and 1000 mg of progesterone and a 4 oz bottle should have between 1,800 and 2,000 mg of progesterone. So, check the amount of progesterone in the bottle you’re looking at or using. Sometimes you’ll see tricky packaging and marketing ploys with progesterone cream as in anything else. That brings us to the dosage. It’s irresponsible to issue a blanket statement of using x amount of cream each day. All of us have a different make-up, our bodies have different needs, and we’re at different stages of our lives. We have dosing information here. A 2-ounce bottle should last 1 month in most cases. Progesterone is not one of those things where more is better. More is not better; it’s also expensive and can take your body right out of balance. This is further explained on the dosage page.